Square Enix has revealed the next expansion set for its Final Fantasy Trading Card Game. 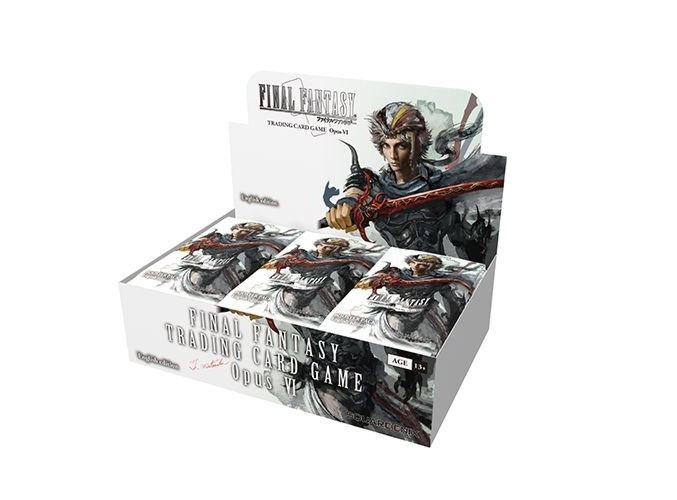 The Opus VI Collection Booster will release in Q3. Opus VI will feature new exclusive artwork from some noted veteran artists who have previously worked on Final Fantasy games, including Matsuda Toshitaka (Final Fantasy), Ryoma Ito (Final Fantasy Tactics A2: Grimoire of the Rift), and Roberto Ferrari (Final Fantasy Type-0). This expansion will be available only in booster packs. Each booster contains 12 cards, including one premium foil card. Boosters will be packed in 36-pack display boxes.